In many ways the unveiling of the Virgin Voyages ship was exactly what you'd expect from a company that has built a brand on doing things their own way. Sir Richard Branson arriving to the Fincantieri shipyard in Genoa by speedboat. Colourful cocktails being handed out by beautiful people to celebrate water touching the far from complete hull. There were even dramatic jets of fire to mark the symbolic cutting of steel for the second ship. I visited at the end of July and was treated to the unveiling of the ship name, the Scarlet Lady, as Virgin's management outlined the concept of the cruise line. Both the Virgin and Fincantieri teams are rightly proud of their work to date and there was talk of many more ships in the future. It was clear that this is a venture that has a huge commitment behind it. Over lunch we were shown the latest presentation of the ship. Sweeping deck space, exciting dining concepts and a connection to the ocean, combined with a retro take on cruise, have all been crafted to appeal to those who might not have considered a cruise before. 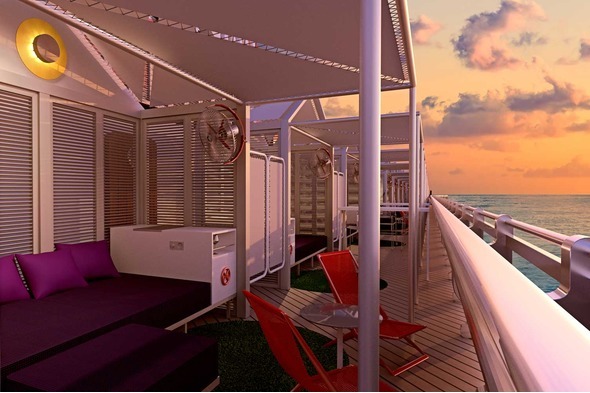 In short, Virgin Voyages are trying to make cruising cool. 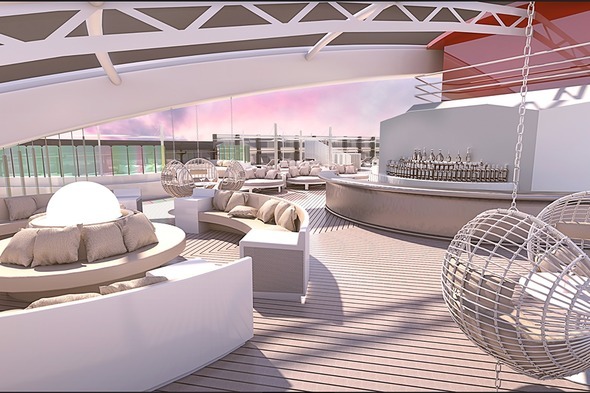 The all adult ship will have a restaurant for every mood, whether it's a casual vibe or a chic evening. The nightclub will be based on the Virgin Music studio, and with the connections they have we're expecting some exciting names to be announced. To counter the indulgence there is a focus on health and wellness, with areas like the Crow's Nest for yoga and meditation with near 360 degree sea views. Other features include running tracks, gyms, spas and pools, as well as the Gym and Tonic bar for some post-workout socialising. As Sir Richard explained, he's looking to create a cruise line that he would travel on himself, and he has an excellent team with a huge amount of industry knowledge in place to help him do it. They all spoke passionately about the opportunity to disrupt the market and capture clients who would never consider a 'traditional' cruise. It's clearly exciting to create a completely new product and have the freedom to rip up the rule book. To add some cruising experience Frank Weber, Senior Vice President Hotel Operations, has a background with NCL, Royal Caribbean and Regent, and dropped hints about the technology that will be employed to cater to guests who expect fast, friendly and fun service. At the moment we've only had hints about exactly what this will look like. Dee Cooper, a long-time member of the Virgin team responsible for Virgin Voyages ship design, articulated the mind-set of the guests - or, in the Virgin verbiage, 'sailors' - as those who are used to the fashionable restaurants and nightlife of London or New York. The importance of creating a cruise tailored to this market is illustrated by the design companies they have chosen to partner with, more used to working on trendy hotels. They have been briefed to form spaces where people can 'chillax' and enjoy 'The Modern Romance of Sailing'. 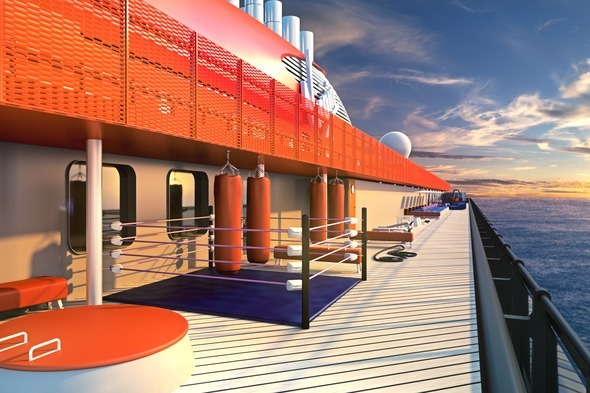 To stay on trend they also announced that there would be zero single-use plastics on board and that the ship's engines would be as advanced as possible to minimise their environmental impact. 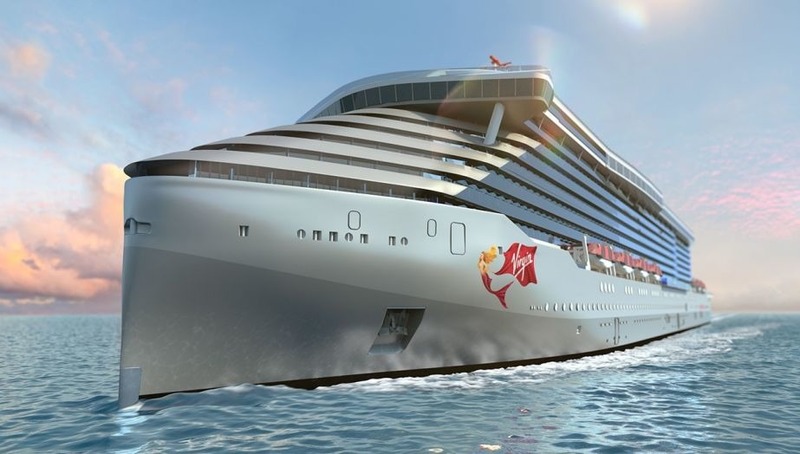 Launching in early 2020, sailing out of Miami to the Caribbean on 7-night voyages accommodating up to 2,750 guests, it will be interesting to hear more from Virgin Voyages and find out how they compare with other players attempting a similar disruption of the cruise industry.